Includes mounting and hold down hardware, grommets, and a vent hose. Available in red or black. 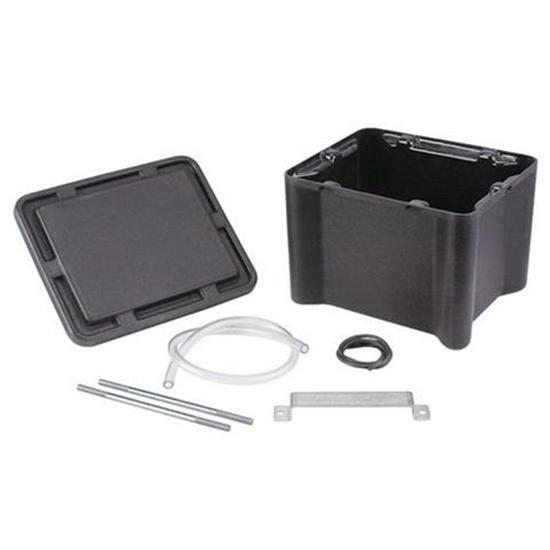 These battery boxes include mounting and hold down hardware, cable grommets and vent hose. This product is NHRA, IHRA, and SCCA approved.